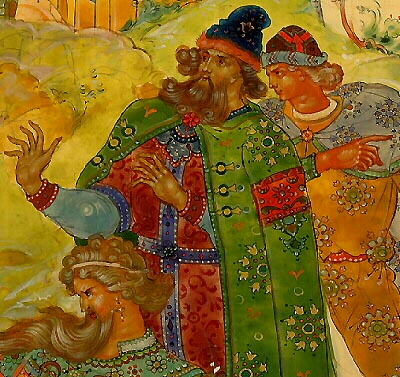 THIS IS YOUR InstaPLANET Guided Tour Of PALEKH Russian LACQUER Miniature PAINTING And Its HISTORY : " Welcome to the Birthplace of the Russian Firebird! " The three related Russian Lacquer Art Centers of PALEKH (Palech - Палех), KHOLUI (Kholuy, Kholuj, Holui - Холуй) and MSTERA (Mstiora - Мстера) are located in the Vladimir-Suzdal-Ivanovo region of central Russia. Unlike FEDOSKINO (Федоскино), the Pioneer of Russian papier-mâché miniatures, all three are deeply rooted in the 17th - 19th century egg-tempera Icon Painting tradition. 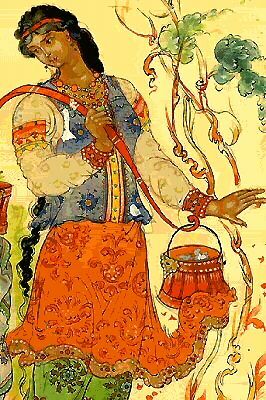 Russian Lacquer Art is a part of World Culture. The InstaPLANET Cultural Universe is proud to bring it to your attention : ENJOY the Tour ! The first settlement of thickly forested and thus secluded and remote Palekh dates back to the 14th century, when monks fleeing the Mongol invaders set up a small community. The village continued to grow and practice agriculture on land belonging to the princes Paletski, who had ties-by-marriage to Ivan the Terrible (1530-1584). In seventeenth century rural Russia the Palekh peasants were serfs on the estate of the Buturlin clan, which owned the land from 1628 to 1861. In those days, icons , which depict in graphic form the people, events, and moral stories of the Bible, were an important teaching tool for the illiterate population, and therefore much in demand. In the village of Palekh, a few artistically gifted individuals were encouraged to try their hand at icon-painting, which meant copying the traditional Byzantine-style images. Very soon a cottage industry sprang up with different people assigned to do separate tasks. These stages of icon production included preparing the wooden panels, priming them, mixing the egg and vinegar based tempera pigments and painting only a specific portion of the image according to the painters specialty and skill (backgrounds, drapery, foliage, hands and faces on any one icon were executed by different individuals ), decorating the completed image with gilding and highlighting, making the proper religious inscriptions, and finally, applying drying oil to the finished product. By the mid-eighteenth century, Palekh had become an important trading and industrial center, due to its icon painting success, which generated revenue as well as widespread recognition for the village. Over the years Palekh's artists arrived at their own distinctive style of icon-painting, slowly shifting from catering to the tastes of the Old Believers in order to assure their livelihood to making adjustments for the sake of keeping up with the changing Orthodox canon and attracting customers from among the aristocracy and the gentry. Thus, the term "Palekh Style" was coined. This continued well into the nineteenth century with even more icon-painting workshops opening, which at one point sustained no fewer than 600 painters and artisans. Palekh icons with their wealth of colors, their harmoniously arranged elements, their profuse application of gold and their meticulous and delicate workmanship were regarded not only as essential objects of religious devotion, but also as prized possessions in the Russian home. The October 1917 Revolution dealt a heavy blow to icon painting in Palekh and throughout Russia. Not only the holy images themselves but the artists who made them became enemies in the eyes of the new Communist regime and were persecuted, arrested, exiled or even murdered. As the Bolsheviks suppressed any form of religious expression, most former icon-painters resorted to supporting themselves with braiding bast shoes, farming or other domestic trades, while others left to seek work elsewhere. 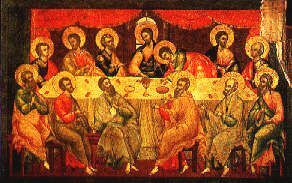 Those who continued with painting met with little success since they lacked experience in all areas other than the rigid process of copying icons. Once-great iconographers were now found decorating wooden tableware, chests, salt cellars, matryoshka dolls, and even porcelain and glass dishes, but without much distinction. Subsequently, the Painters and Craftsmens Cooperatives that were established immediately following the Revolution all went bankrupt and were dissolved. In the early1920s, during the expansion of the Soviets' New Economic Policy, former icon painter Ivan Ivanovich Golikov (Голиков, Иван Иванович) visited his relatives in far away Moscow. There he saw and was fascinated by the already famous LUKUTIN painted lacquer wares on display in the Museum of Decorative Arts. Wanting to experiment with making something similar, he approached the directors of the museum and asked to acquire papier-mâché blanks for his own use. None of these city officials believed in the artistic capability of the former icon-painter from the rural province, and flatly refused. But Golikov persisted in his vision until he found some used papier-mâché trays which he took. He then painted on them two original compositions from his free flowing imagination: "A Plowman" and "Adam in Paradise" (which was inspired by Gustave Dores illustration of the bible). These prototypes exceeded everyones expectations. They were the very first PALEKH Lacquer Miniatures purchased by the museum. On that momentous day, Palekh Miniature Art on papier-mâché was born. On the 5th of December 1924, swept up in the effervescence, optimism and creative energy of Ivan Golikov, six painters, Ivan Bakanov, Aleksandr Zubkov, Ivan Zubkov, Aleksandr Kotukhin, Vladimir Kotukhin and Ivan Markichev, along with Golikov himself, set up the Palekh Artel (co-operative) Of Old Painting. As four of these original Founders were named Ivan, the group soon acquired the nickname The Seven Ivans. Not long after, Vakurov, Butorin, Dydykin and Zinovyev also joined the Artel, but it was Golikovs crowning achievement to be the first to succeed in applying the rich techniques of icon-painting to the new base material of papier-mâché, and adapting it to the painting of original and unique secular themes, drawn from Russian fairy tales, folk songs and bylinii (heroic legends). 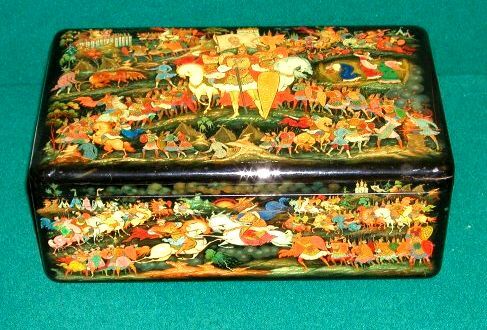 This First Generation of Palekh Lacquer box artists launched a movement that soon would inspire its neighbors, Kholui and Mstera, and would put tiny Palekh on the world map. Golikovs limitless energy, his inventiveness, his artistic skill and his inexhaustible imagination inspired all around him. He participated in the creation of murals, monumental panels, theatrical stage sets, book illustrations, propaganda posters and porcelain painting. 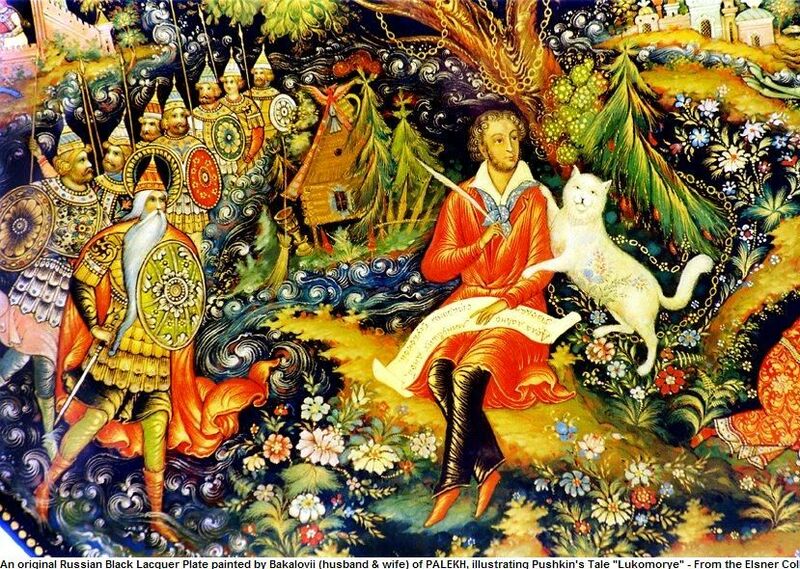 From 1922 until his death in 1937, he painted approximately 1000 original lacquer miniature works of art, which were immediately recognized and exhibited in Russia and also internationally. Works by Ivan Golikov can be seen in The Palekh Art Museum, The State Tretyakov Gallery, The State Russian Museum, The Museum of Folk Art, The Pushkin All-Russia Museum, The State History-Art Museum-Preserve of Sergiev Possad, The Museum of Russian Art in Kiev, and many others inside Russia and abroad.